David Cheesman, our 2011 Redtooth Poker National Final winner will be at Dusk Till Dawn on Friday 16th December to play in their £250,000GTD Monte Carlo tournament. 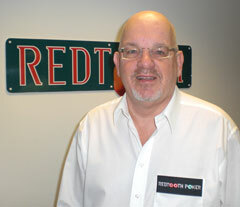 David will be representing Redtooth on Day 1a of Dusk Till Dawn’s biggest ever tournament with a £1000+£90 buy-in. David is the only Redtooth Poker champion to date to re-qualify for the national final after final tabling the West Yorkshire regional final in season 5.3. This means he will be returning to Dusk Till Dawn in March 2012 as he tries to defend his 2011 title. The Monte Carlo tournament started in 2009 as just an end of year finale event but due to it’s popularity it now runs three times a year and attracts many of the UK’s top poker pros such as past winner Julian Thew, Sam Trickett and 2011 WSOP bracelet winners Jake Cody and Matt Perrins. 1st place is estimated to be around the £80,000 mark with around 10% of the field being paid a four figure sum as a minimum. We wish David, the UK’s Pub Poker Champion, the very best of luck!